Towards the end of last year, Westbury’s Research & Development (R&D) facilities underwent a revamp, in an effort to maximise the engineering opportunities presented to the business. 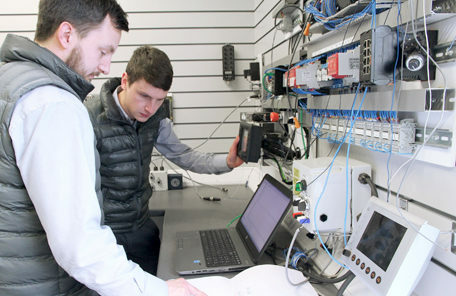 Predominately used by Westbury’s engineers; Carl Hitchcock, Chris Haining, Sam Tongue and Alex Anderson, the R&D room serves as a useful, dedicated space for problem solving, prototyping, testing and developing. 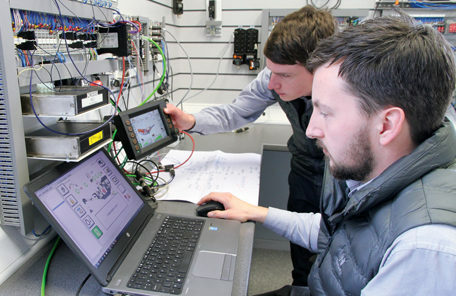 Carl describes some of the activity; “In a nut shell, we have the ability to test and prove that ‘our stuff’ does what it should do before it’s used in the field, whether that’s a block of developed code to be bench tested on a PLC, or a new piece of kit supplied by the customer.” Obviously, machine builder clients benefit from this, knowing that Westbury’s engineering time in the R&D room means that the kit and software is trailed and tested before it’s commissioned.